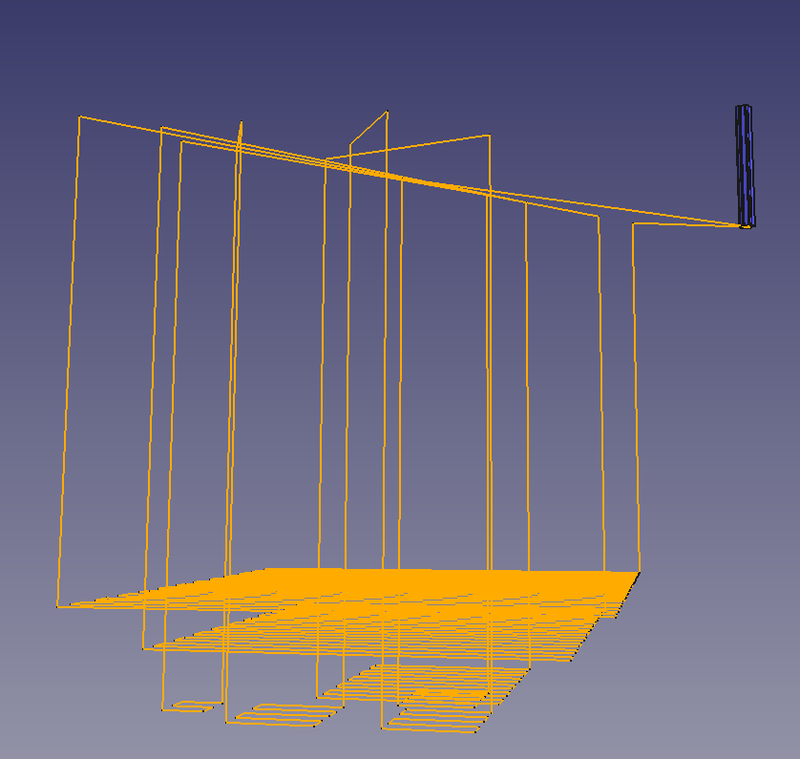 Before starting, I must warn that this is not intended to produce any realistic simulation. I created it as a proof of concept and for fun. The milling script removes material by cutting the workpiece with the tool object (a rectangular box) in a simple Part.cut(tool) operation. The tool object position is determined by taking the last point and the next point from the path points list. Then, the script creates vector and walks through it by steps. At every step, the tool cuts the workpiece, and every 4 steps, the document is refreshed. Refreshed means the command Part.show(workpiece). 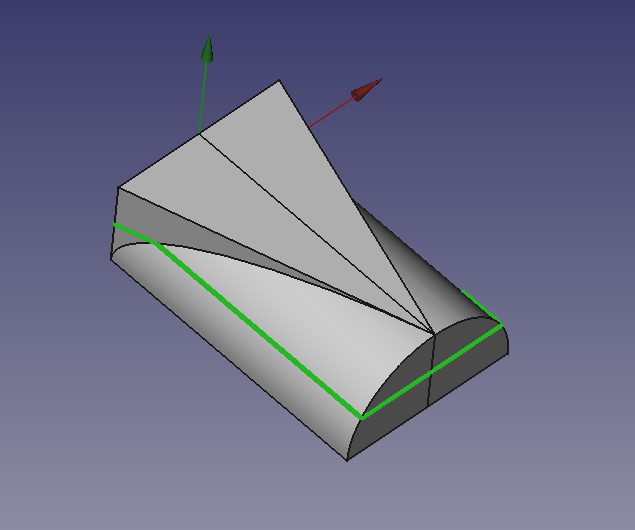 Because this command creates a shape every time is called, before Part.show(workpiece), the previous shape is removed. The first thing we need is the list of points that the "tool" will follow. 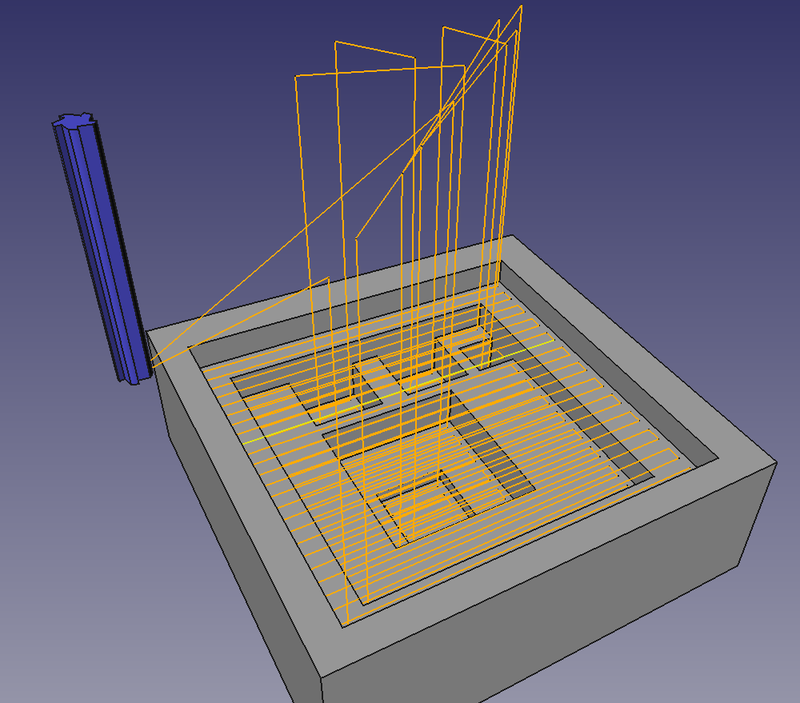 But manually creating the points is not the most adequate way, at least for more-less complex or large toolpaths. 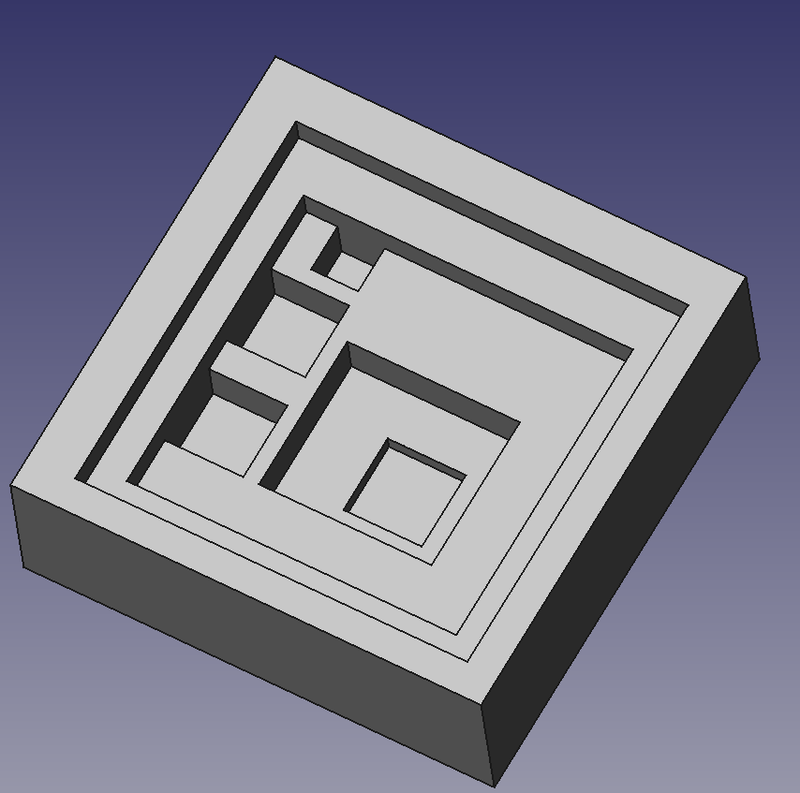 It generates a pocket with initial position (lower-right corner) V0(x,y,z), side length L and absolute deepness H.
Imagine to create that zigzag pattern by hand. It iterates over the points list (named Program) and generates the tool trajectory wire. 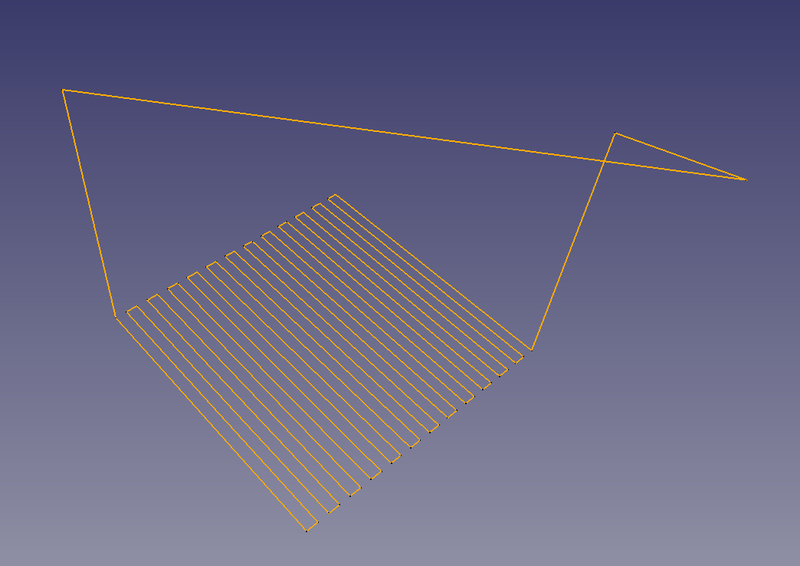 Well, I've been playing with creating the points list using a script that follows the contour of a FreeCAD part. That way you will only need to execute that script and then run the simulation. The green line is the output of the script. 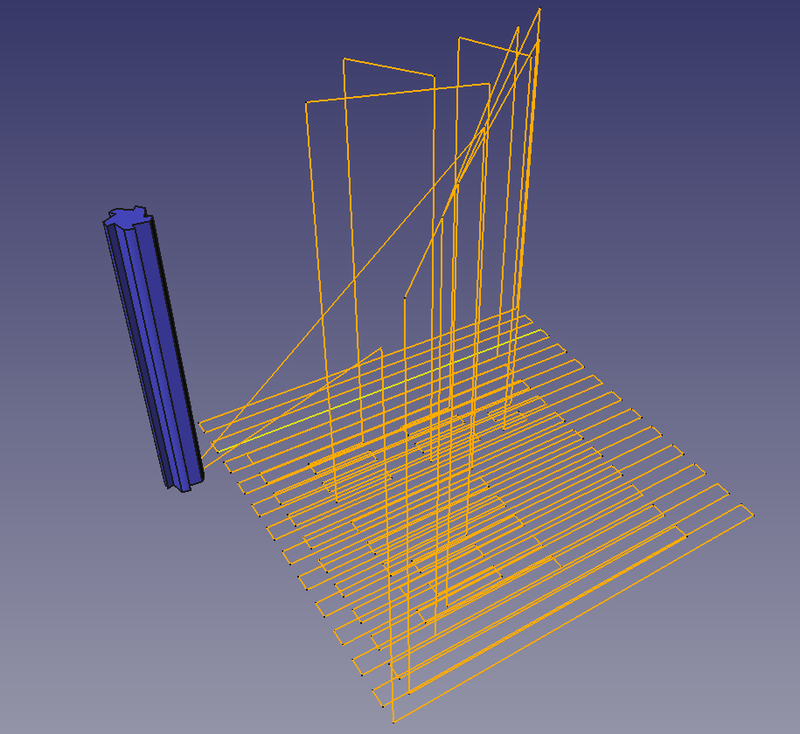 I am trying to create a widget that reads a file with the cnc code and creates the list and then performs the cutting action, but i don't know enough to make it work and need some help. I copy the code here, to use it just save it as a python script and then on FreeCAD python terminal import it and you will see the dialog. If you could take a look maybe you discover what I am doing wrong!